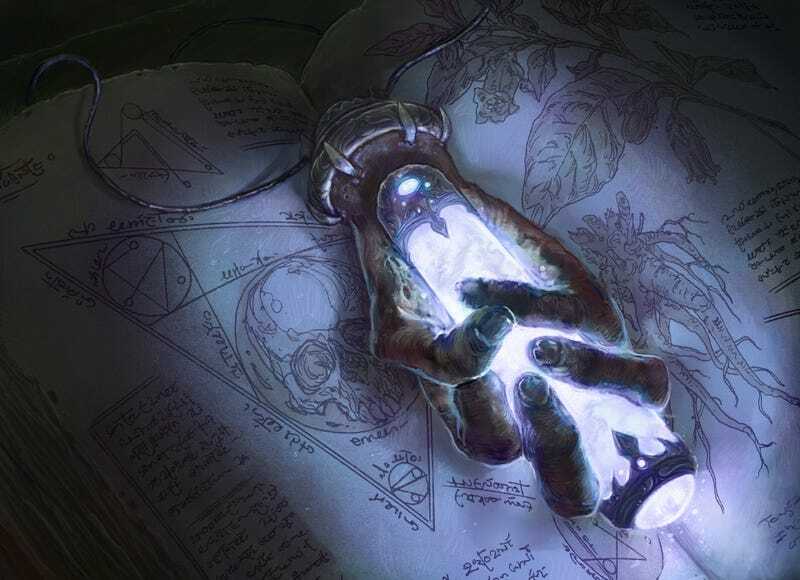 This week’s Concept Art Writing Prompt, by artist Matt Hansen, focuses on a gruesome artifact. What story will you write about this mystical relic, how it came to be, or what it does? It is time once again for the Concept Art Writing Prompt, where we share an interesting work of art and then invite you to come up with a story inspired by that image. So shake out those writing cobwebs and start typing. When you’re done, post your story in the comments. And, if you want to see more of Hansen’s work, head over to his website — and be sure to check out his store. “Necrotic Focus” is featured with the artist’s permission and was spotted on r/ImaginaryBooks.